We just got way more affordable for U.S. students from outside of Illinois – one of many reasons to choose NIU. Good news: We've eliminated our more expensive out-of-state tuition rate for U.S. students coming to NIU from outside of Illinois. Whether on campus or online, we provide the quality education and real-life experience you need to succeed. Take the next step and request information about your area of academic interest. Need more reasons to choose NIU? Enjoy the lifestyle of a large, rural Midwestern university while still living and learning near two federal research laboratories, an international airport and the world-class city of Chicago. You can create a learning experience as unique as you. Study full time, part time or online. Choose from more than 100 courses of study, explore many research and hands-on learning opportunities and find out more about studying abroad in over 80 countries. Our student population represents 48 of the 50 states in the country. And with more than 300 student organizations, we provide hundreds of ways to have fun, get involved and meet new friends. There's something here for everyone. Have questions about grants, loans, work-study or scholarships? There are many types of aid available to incoming students, and many students may be eligible for and receive more than one type of aid. 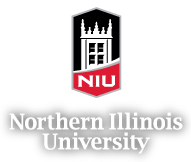 We'll guide you through the application process and give insight on all aspects of financial aid and scholarships while attending Northern Illinois University. How is NIU changing its tuition structure? We are moving to a new domestic-rate structure for tuition. The change will set out-of-state tuition for domestic students at the equivalent of the in-state tuition rate, effectively making NIU more affordable to U.S. students from outside Illinois. The change will apply to students enrolled as undergraduates or through our Graduate School. Why is NIU adopting the new tuition structure? It will make an NIU education more accessible to students nationwide. It will make it more affordable for current out-of-state U.S. students to continue and complete their NIU education. By attracting students from a more expansive geographic area, we’ll increase diversity on our campus and enrich our culture with new perspectives and ideas. The new rate structure should help us grow our new enrollment, thereby enhancing our overall financial stability and benefitting our entire community. More out-of-state students will make connections in our region, stay in Illinois after graduation and bolster the state’s skilled workforce. The new rate structure will enhance our enrollment and national reputation without negatively impacting the enrollment of Illinois residents. How much is tuition at NIU? Current rates are posted online.